Peg Breen is president of the New York Landmarks Conservancy, one of the oldest and largest preservation organizations in the country. Through unique financial and technical programs, the Conservancy has loaned and granted more than $43 million, and provided thousands of hours of technical assistance for City and State restoration projects. The Conservancy also advocates for preservation at the local, state and national levels of government. The U.S. State Department has regularly sent Ms. Breen to speak on preservation in St. Petersburg, Russia; Tbilisi, Georgia; and Vancouver, Canada. She was keynote speaker at an international preservation conference in Havana in 2001 and keynoted the October 2013 National Association for Preservation Technology Conference in Manhattan. She is on the boards of Preservation Action, Save Ellis Island and The International African American Museum in Charleston, S.C. She serves on advisory boards for the Lower East Side Tenement Museum and the Trust for Governors Island. 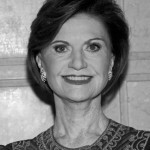 Prior to the Conservancy, she held positions in New York City government and the media.